Attract interest in your business with this full-color computer companion. Optical friendly mat with exciting advertising possibilities. 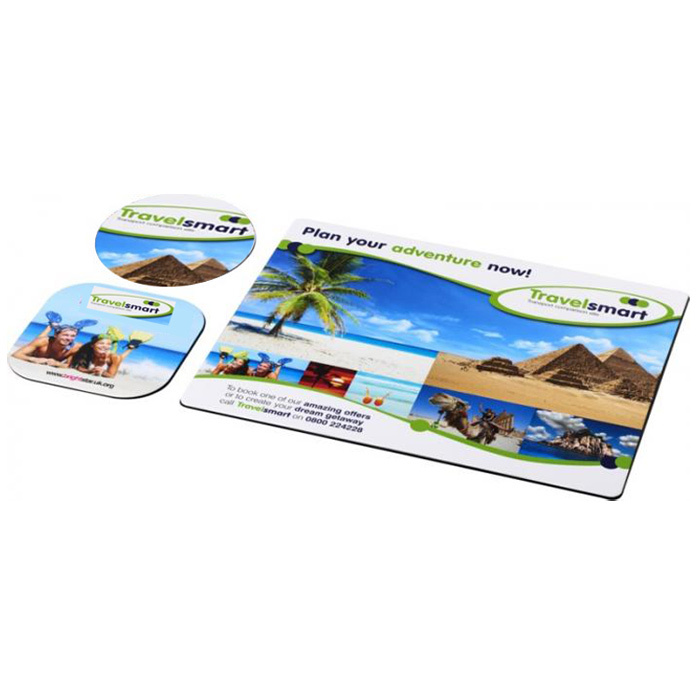 Each pack contains 1 mouse mat and 2 coasters, available in either round or square shapes. Price includes a full colour print to all items. Print area: (Mouse mat Rectangle) 240 x 190mm; (Mouse mat round) 200 dia; (Coaster square 95 x 95mm; (Coaster round) 95 dia.